This article applies to any version of the plugin, release 3.0.0 or higher. 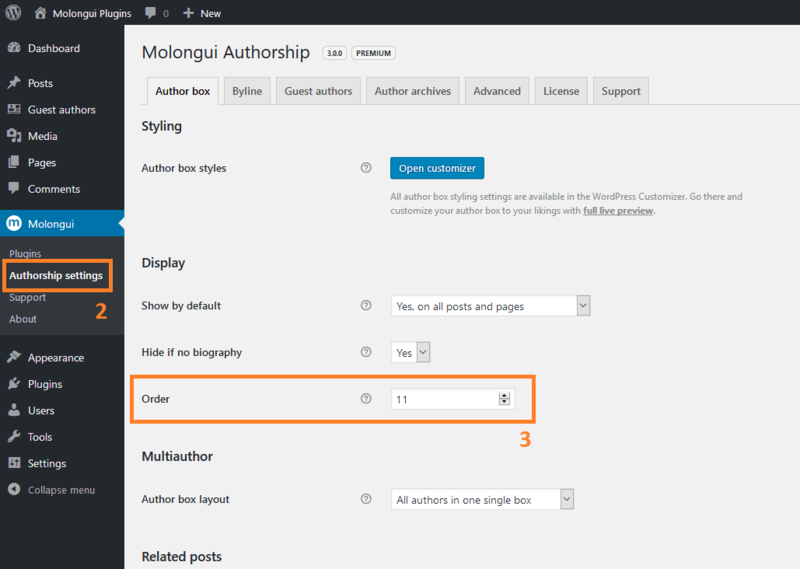 Go to Molongui > Authorship settings. Make sure you have the ‘Author box’ tab selected. Look for the ‘Order’ setting and make sure to input a number above 10.